The weather is warming up and that means I’ll be featuring the old school Trader Vic Mai Tai on my menu on occasion. This cocktail dates back to the 40’s and it’s not the neon pink umbrella drink you might associate with the name Mai Tai. Hopefully you like the taste of rum, because you won’t find any pineapple juice hiding the taste of alcohol in this recipe. You can’t make Trader Vic’s Mai Tai without orgeat syrup (pronounced “awr-zhat”). Orgeat is a sweet almond syrup with a lovely touch of orange and rose flower water.If you’re lucky you might be able to find a bottle at your local liquor store, but quite frankly nothing beats the homemade stuff. It’s a lot easier to make than you might think too. So why not give it a shot? In a bowl cover almonds with water and allow to soak for 20 minutes. Strain and discard water. Then add the 18 oz of water and the 2 oz of vodka, allowing to soak at least 3 hours or over night. I add vodka at this point to help extract the oil from the almonds. Plus the vodka will help preserve the syrup. If you are using the orgeat for something other then cocktails feel free to omit the vodka. With a food processor or hand blender, blend the almonds to release their oils. Strain almonds through cheesecloth and a sieve and collect the water in a separate bowl. Squeeze the almonds in the cheesecloth to get all the liquid out. Now take your almond water and sugar and bring to a low boil on the stove until the sugar is completely dissolved. You will notice the almond oil and the water tend to separate, this is where the xanthan gum comes into play. With a whisk or hand blender incorporate the xanthan gum. Add the almond extract to taste. This will kick up the almond flavor and is not totally necessary, but I think it’s a nice touch. Also, add the rose water and orange bitters. You could use orange flower water here instead of a combination of the orange bitters and rose water. Be careful with orange flower water because it is very strong and if you put too much your syrup will taste like perfume. If you like orgeat syrup you should also check out falernum. 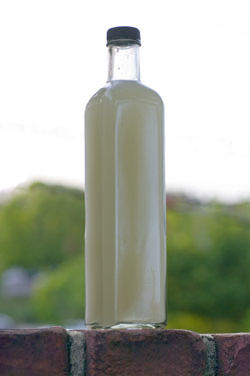 Falernum is a key ingredient in Don the Beachcomber’s Mai Tai as well as a key ingredient in many tiki cocktails. Add all ingredients in a cocktail shaker, except the mint garnish. Shake and strain into a rocks glass filled with crushed ice. Garnish with fresh mint. You can also float some dark rum on top of the cocktail if you like. I tend to exclude fancy garnishes such as pineapple or neon cherries. I’ve never made my own Orgeat. I’ve always ordered it. I think it would a fun project to try. Thanks for the recipe! My pleasure. Let me know how it turns out. How long will this stuff last? It seems like a lot of work, but I’m guessing it lasts a while once you add all the alcohol. You’re right. The alcohol helps preserve it. It should last up to a month if refrigerated. Yes orgeat goes into Trader Vic’s Mai Tai. 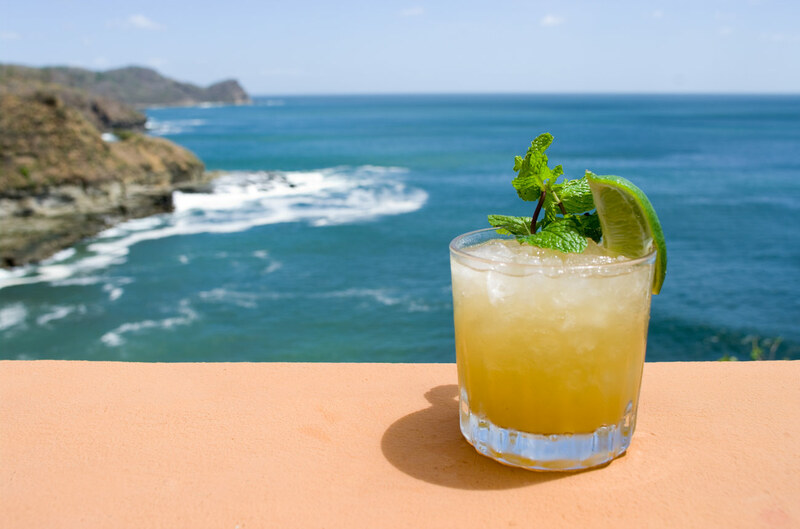 Once you master this, make a batch of falernum and try Don the Beachcomber’s Mai Tai. Tell me which Mai Tai you like better. Check local coffee shops, especially mom & pop ones. They obviously stock flavored syrups, though they frequently, for some reason, don’t have almond. But, talk to them nicely, asking them if they can order a couple of bottles for you. (I realize your posting is 3 years old but — maybe this will still help.) Two brands are TORIANI and MONIN, there are others and they are okay too. I recently (late 2014) ordered two bottles, 750 ml. each of MONIN through a shop for $10.00 a bottle. I spent 18 months in Hawaii in the USMC, in the late sixties before going to Vietnam and that’s where I got started on Mai Tais. Most hotels/bars then on the strip (Kalakaua Blvd. ), in Waikiki, put pineapple juice in Mai Tais because of the old American association of pineapples/juice w/ Hawaii. But you probably already know that’s not the authentic/original recipe because the apparent “inventor” of the drink, Victor Bergeron, in the 1940s, did not include pineapple juice in his original mixture. Simply spectacular!!! Once you go PP Orgeat, you never go back. Thank you again and again. Haha Love it! Share some recipes you made with the orgeat! Very nice Chris! I just recently made a recipe using the orgeat. Try 1 oz of blanco tequila, 1 oz of scotch, 3/4 oz lime juice, 3/4 oz orgeat, one egg white, and bitters on top. Cheers! This is the second time I have used this recipe to make Orgeat Syrup . I find when strain the almonds through the cheesecloth there is a large amount of liquid remains in the cheesecloth. But I am very happy with the finished result. Once you open a bottle of rose water does it have to be refrigerated. You gotta squeeze that cheesecloth real good to get all the liquid out. For the rose water, I would refrigerate it just to be safe. Why did you decide to use Cointreau instead of orange curacao, which is typically used in most Mai Tai’s that I’ve seen? Would you ever consider using Clement Creole Shrub instead of either of those? blog. Is that this a paid topic or did you modify it your self? SHould I blend it with the water they were with? or strain the water out and blend then blend them? Thanks, Looks like a great recipe and I want to get it right. Made this, love it. After it sat in the refrigerator for 10 days, however, there was some separation of the almond solids. Do you notice this? Did I do something wrong? You didn’t do anything wrong. You can just shake it before using it. You can also add a tiny bit of xanthan gum and that will stop the seperation. I brought home a nice bottle of Rum from Montanya Distillers in Crested Butte last summer. It sat in my cupboard waiting for me to make this Orgeat so I could make an excellent Mai Tai. I made the syrup. I made my Mai Tai. Life is good. Thank you!